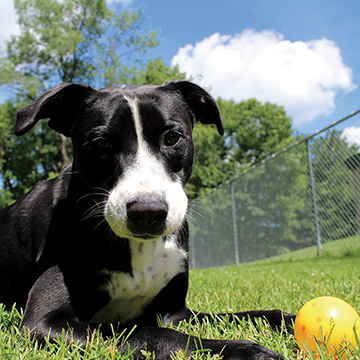 When you visit Berkshire Humane Society on Barker Road in Pittsfield, one of the first things you may notice when perusing for a dog are the color-coded cards at each kennel – the dog’s “canine-ality” – a behavior assessment and personality profile based on each dog’s degree of sociability, playfulness, energy, and motivation. This science-based approach is part of the “Meet Your Match” system, an adoptions program created by the ASPCA in New York City. The system has greatly increased adoptions in shelters around the country, making it easier for dogs to find a forever home – all through helping match human lifestyles and expectations with observed and tested canine performance and behavior. Your family: Are there children or other pets in the house? Do children regularly visit? Other dogs? Household: Some animals thrive in quiet and routine, others on novelty and excitement. What is your household like? Quiet and low stress? Or fast-paced and on-the-go? Time: How much time do you have to spend with your dog? Do you work from home? Travel for weeks at a time? Are multiple walks, runs, or vigorous exercise your thing? Or do you prefer to hang out on the sofa in front the tv? These, and more, can affect your dog’s quality of life – and yours too! Travel: Will you regularly take your dog to other places? Work? A family member’s home? On vacation? Are their children, other dogs or other animals at these locations? Or do you plan to leave your dog at home? Special Needs: There are numerous needs a pet might require, such as daily vigorous exercise, separation anxiety, house-training, continued behavior training, special food, or daily medication. Can you take on an animal with a special need? Many animals only need a special dry food or a simple medication – Don’t shy away from the perfect pooch because of a special need! Just consider what is feasible for you and your family. Think realistically about what you and your family can afford – both in terms of finances and time commitment. These are just a few of the things that the “Meet Your Match” assessments are designed to assist with. Come on in and we’ll chat! Our adoption counselors are excited to help you find the perfect dog for you and your family. While the “Meet Your Match” assessment is not used on felines, staff does carefully evaluate and observe each of our cats. You will find forms detailing some of their character traits on the outside of their condos. Some cats can go home to other cats, and some cannot. Children may or may not be okay. Your adoption counselor will help guide you. Stop by the main shelter or Purradise and pick up an application or download one for cats and dogs or small mammals and birds. Bring this completed form to the shelter. At this point, you will speak to staff about what you are looking for. Before approving your application, we require proof of home ownership or your landlord’s permission. Applicants must be 21 years old or older with a valid photo ID. Visit our website or shelter to see all of our animals available for adoption. When at the shelter, an adoption counselor will meet with you to help you find the right fit – via “Meet Your Match” (see above) – and answer any of your questions. If you see a pet you like, we ask that you and other household members spend time with him or her to get acquainted. If you own a dog, we require that you bring him or her to the shelter for a “Meet and Greet” with your potential new dog. If you have cats or other small animals, staff may want to conduct a cat test. Some animals can go home soon after you meet with an adoption counselor and your application is approved. 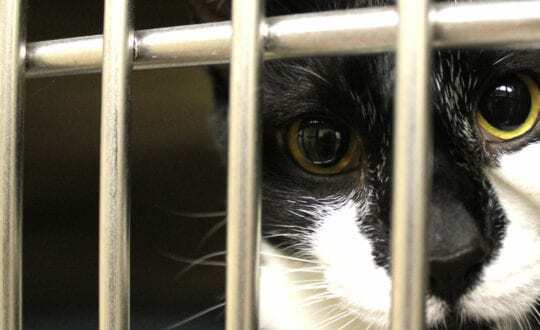 Other animals may need to be spayed or neutered before leaving the shelter. Your adoption counselor will let you know when your new pet is ready to go home. We suggest using this time to prepare for his or her arrival. When you pick up your new family member, an adoption counselor will review final instructions, answer any of your questions, and have you sign the adoption contract. Enjoy the rest of your pet’s life! BHS is committed to making your adoption a success. With many years of experience, our staff is always willing to discuss the care of your pet or address any concerns that you might have about him or her. Just give us a call at +1 (413) 447-7878 Thank you for adopting from BHS!